Another exhibit has been created and is currently on display in the command hallway of the US Army Sergeants Major Academy and NCO Leadership Center of Excellence. This exhibit focuses on the changing Army from post Vietnam up to the fall of the Berlin Wall. The exhibit is a throwback for many of our forum members who served during the Cold War period and post Vietnam periods. All of the items on exhibit are from my personal collection and with the exception of the Army green uniform in the upper left, all uniforms in the exhibit were worn by myself during my service. There are many instructors and civilians at the Academy who served during this period of time and it was nice to have them stop by and talk with me about some of the items when I was setting up this display. The Yellow PT uniform also know as the banana suit was our first real attempt at a "jogging suit" after Vietnam. Prior to this time, Physical training was conducted in fatigues and boots. The Army realized that many Soldiers were getting shin splints and other injuries while doing PT in boots. The Army developed this "track and field uniform" for Soldiers to wear during physical training. The PT shirt was a black and yellow reversible jersey that could be turned inside out when playing team sports (Half the team wore the yellow side and the opposing team wore black.) This uniform was in place through the late 70's into the mid to late 80s when it was replaced with the white/grey uniform with the words ARMY printed in black across the front t of the PT top. This uniform was also re3placed later with the grey and black PT uniform in the late 90's early 2000. That was also replaced by the current black PT uniform. Other items of interest in the exhibit show our transition from the OD green uniform to the BDU or Battle Dress uniform. The initial uniform was of winter weight material and in 1983 when members of the 82nd Airborne deployed to Grenada there were numerous heat casualties due to the heavy fabric. This caused the Army to develop the lighter weight rip stop BDUs, similar in pattern with the OG 107 jungle fatigues that the Army Rangers wore during the operation. The .45 caliber pistol was replaced by the M9 pistol, the steel M1 helmet and liner gave way to the PASGT or Kevlar helmet. Initially referred to as the "FRITZ" helmet because of the similarities in design to the M35 and M42 German Steel helmets of WW2. The Kevlar had proven itself in combat when an 82nd Paratrooper wearing one of the new Kevlar's was shot at and the AK-47 round hit his helmet but did not fully penetrate the layers of woven Kevlar material, thus saving the troopers life. That helmet is on display at the 82nd Airborne Division museum at Fort Bragg, North Carolina. C-rations were replaced with the lighter MRE's or meals ready to eat and through the years many variations and menu changes have come about. The models of aircraft and tanks was the Army vision in the 1970's known as the "BIG 5 PROJECT". The Army was looking at 5 weapons for upgrade due to the shifting focus of directing our attention on our adversary the Soviet Army. It had been proven that American equipment was inferior to the Soviets models of Armor and other items since the US Army had been busy fighting the war in Vietnam. The Army needed a new attack helicopter to replace the AH1 Cobra and the AH64 Apache came into the Army's inventory. These big 5 projects put the American military back at the forefront and all systems have been battle proven since joining the Army's arsenal. Other items in the exhibit focus on training and the use of many GTA's (Graphic Training Aids.) These simple pocket guides assisted Soldiers with complex duties such as calling for fire, sending a radio message, calling for MEDEVAC support and other tasks and skills used on a daily basis by Soldiers. I hope you have enjoyed this short tutorial and enjoy the pictures of the exhibit case. As the Army move's forward in the 21st Century it is always beneficial to look back to see where we came from.. Sometimes our work is grossly underappreciated... We are more often defending the reasons we do certain things as museum professionals and many in the general public don't understand our efforts.. Very impressive! 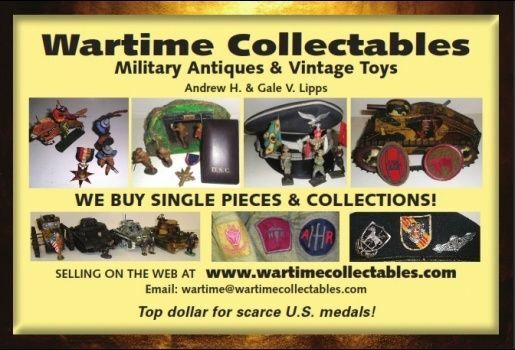 I am really glad so many continue to collect and preserve our military history. Trying to educate and preserve the past one exhibit at a time.. Excellent display, Smitty! Thanks for sharing! Man, those yellow suits are something! Well done brother! Another top notch exhibit my friend!